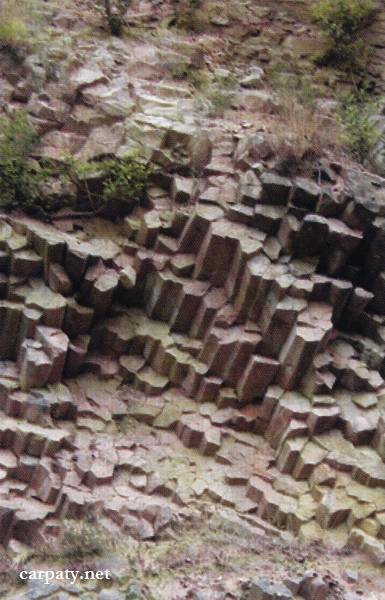 Regional Information Center "CARPATHIANS" » KLENOVETSKE EXPOSURE OF COLUMNAR ANDESITES. KLENOVETSKE EXPOSURE OF COLUMNAR ANDESITES. 48° 30′ 04” N lat. ; 22° 45′ 18″ E long. 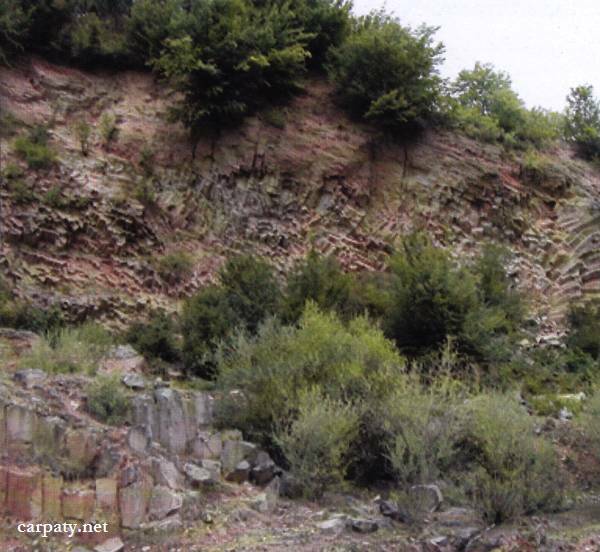 In the right bank of Vyznytsya River in closed quarry up to 100 m long and bench height 7-8 m are exposed Neogene (Late Sarmatian-Pannonian, absolute age 10.3-10.7 Ma) andesite lavas. 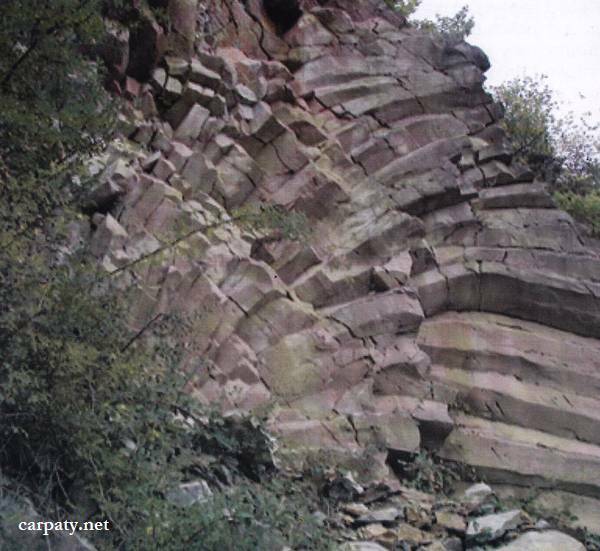 The rocks resulted from volcanic output of the largest Trans-Carpathian paleo-volcano which central neck portion (caldera) located southward at Synyak Mountain that is based on geological observations. Andesites are of interest because of their enigmatic forms of randomly-oriented columnar jointing caused by patterns of lava flows movement. 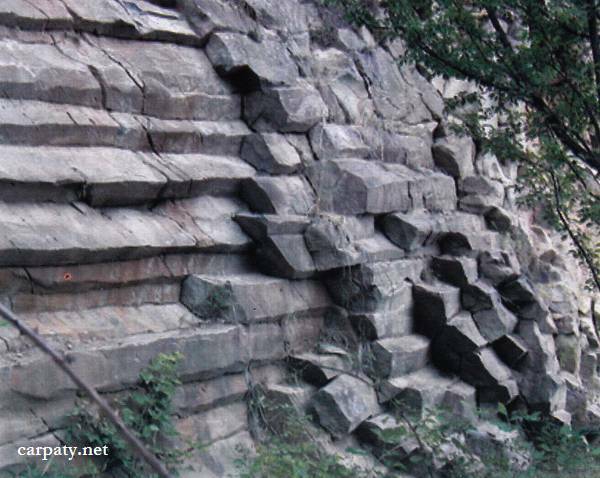 The site is being continuously visited by members of various geological excursions, students-geologists, and tourists. Accessible by motor-car along the road Kolchyno-Klenovets.